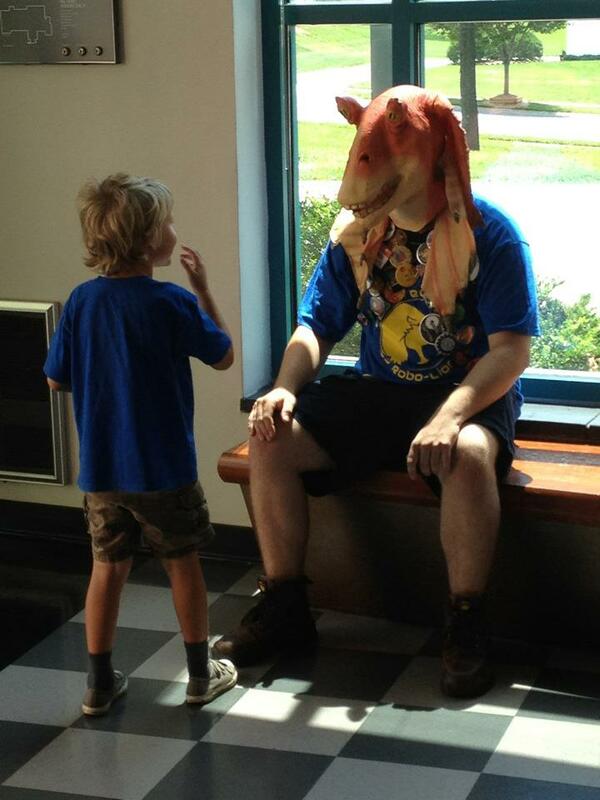 The Robo-Lions have an extensive local STEM Outreach Program! After all why build an amazing multi-thousand dollar robot and not show anybody! If you’d like us to bring the “big robot” to your event please contact lead mentor Rose Young. 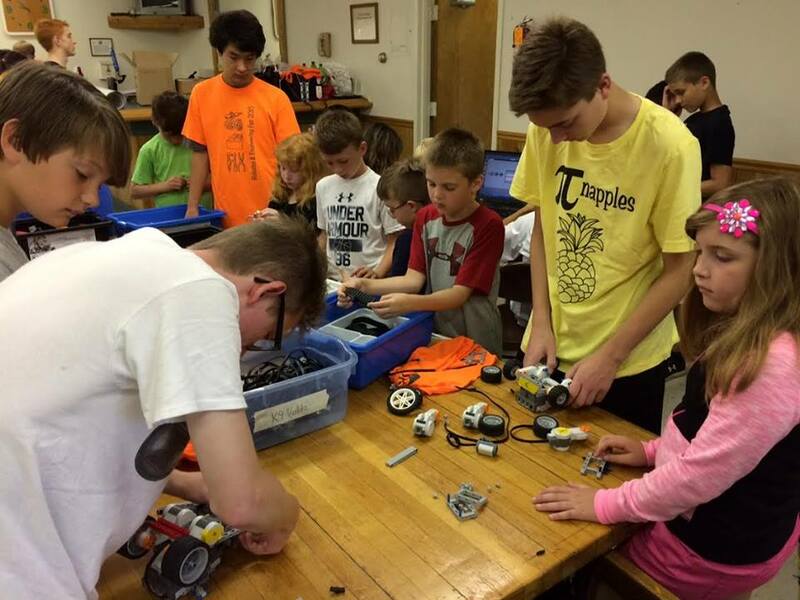 The Robo-Lions held their first Lego Fun Camp in the Summer of 2012 featuring Lego Mindstorms Robotics. Since then the number of teams under the PIE3 banner has gone from the 1 FRC Team to 16 teams in 2015, 1 FRC and 5 FTC High School teams and 10 FLL Middle and Elementary School teams. In 2015 and 2016 there were Camps in June, July, and August. 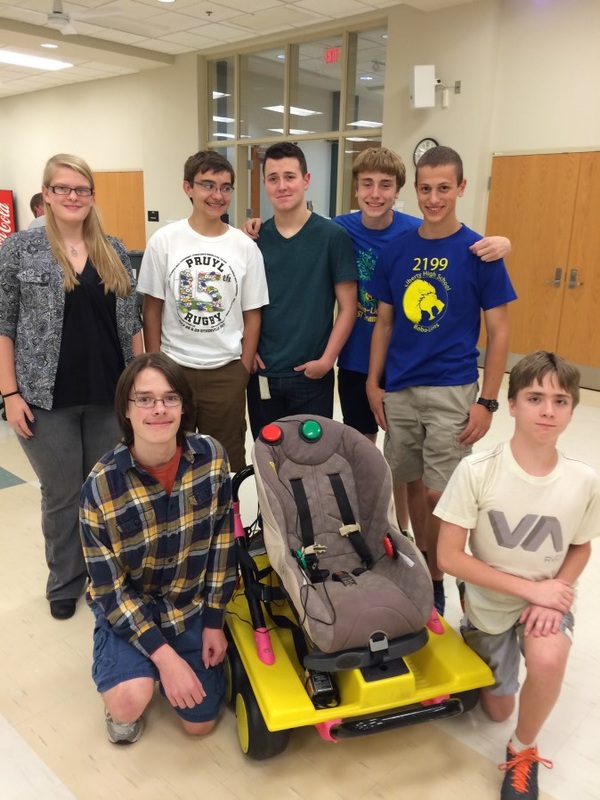 Carroll County Public Schools Assistive Technology group developed problems with their Cooper Car – a device that allows mobility for young children who are too small for electric wheel chairs and asked the Robo-Lions for help. The Robo-Lions were able to fix the Cooper Car and were asked whether they could build similar devices (which retail for something like $3000 initially. As it turns out FIRST Robotics had just updated the computers and electronics used for competition robots so the Robo-Lions had three computer / electronics kits available. With some generous donations from partners such as the Maryland Space Round Table the Robo-Lions plan to build three RObotic Assistive Rovers or ROARs. Paraplegic children will be able to use a joystick to control the ROAR while Paraplegic children can touch four large buttons with their head to go forward, backward, left, or right. 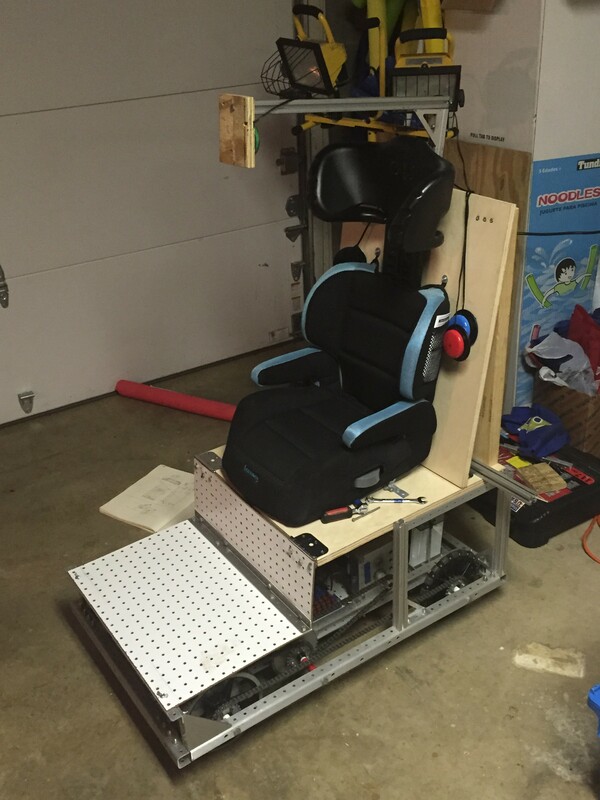 The Robo-Lions designed the ROAR using SCRUM Systems Engineering techniques. 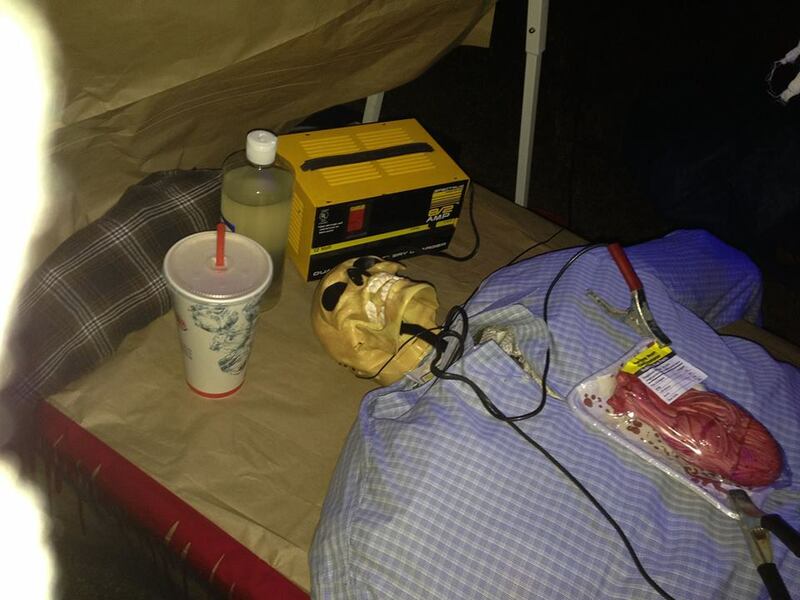 RoAR Prototype on 12/23/15. Battery cover installed. Large buttons allow paraplegics to control RoAR with head. 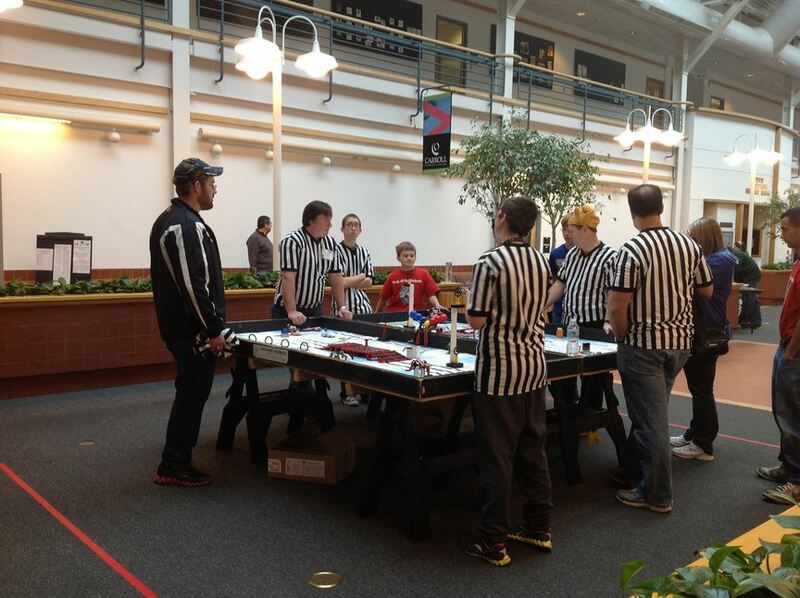 Every year in December and January the Robo-Lions host the Roar of the Robots FLL Qualifier which allows teams to move forward to the FLL State Tournament at UMBC. The event includes demos by the Robo-Lions and all the PIE Cubed robotics teams. 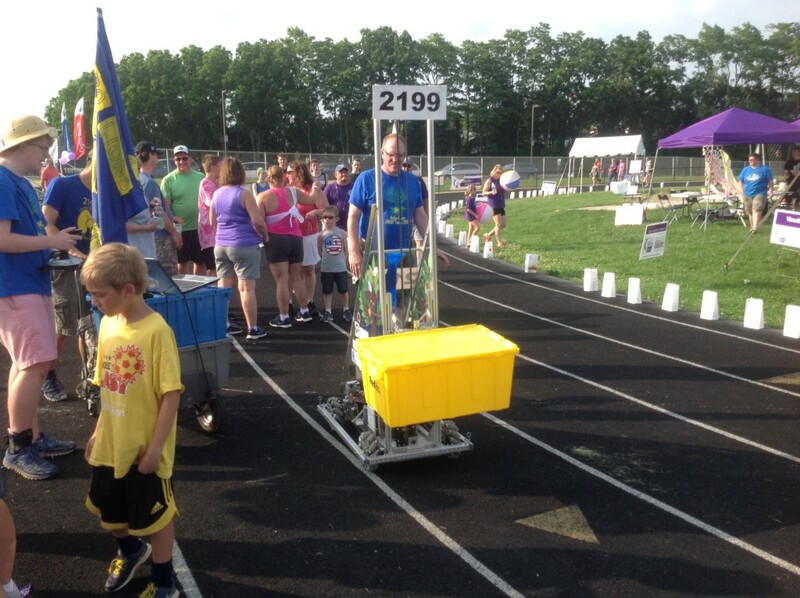 The Robo-Lions annually participate in the Freedom Area Relay for Life to help conquer cancer. The Robot even takes a lap around the track at Liberty HS! 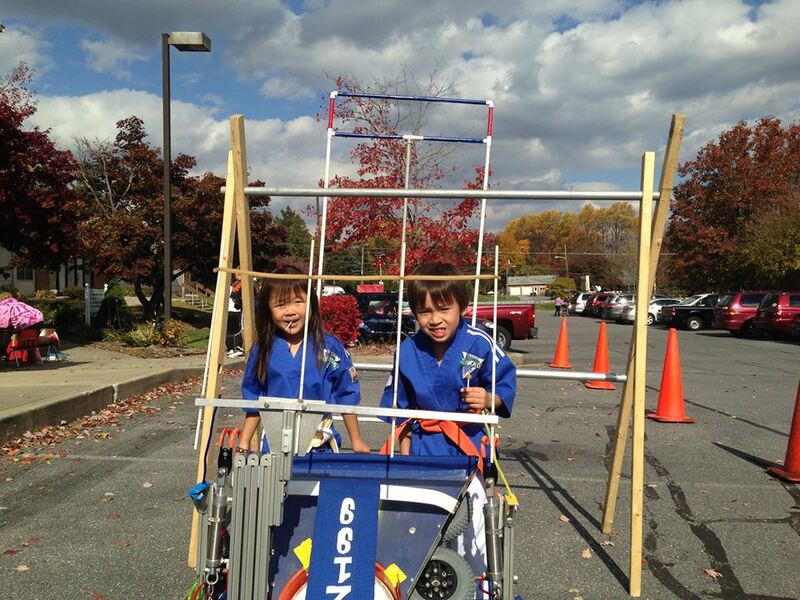 The Robo-Lions regularly visit local elementary schools to demonstrate the big robot and explain how it works! 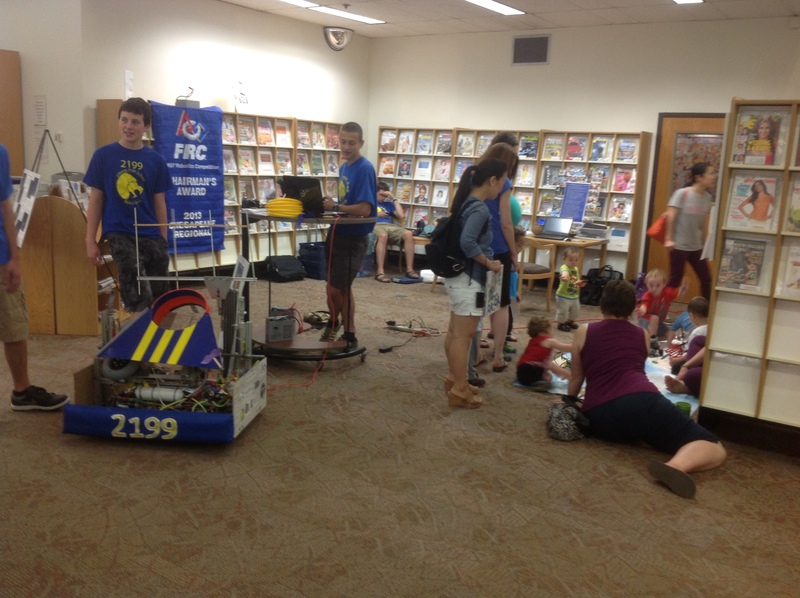 The Robo-Lions have an extensive library visit program including the Summer Reading kickoff at Eldersburg library, and the “May the Fourth Be With You” Star Wars reading program at Mt. Airy Library. 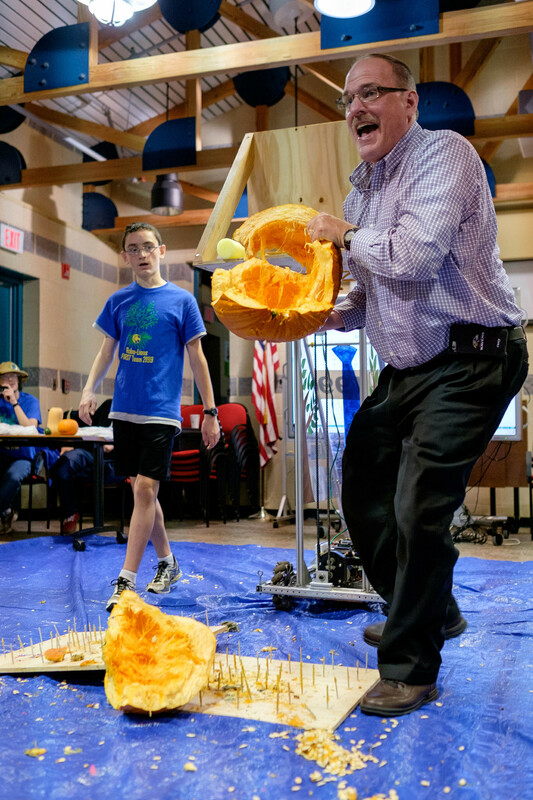 This year we started a “Pumpkin Smash” demo using a repurposed form of our 2015 Robot the Josh 3.0. In August of 2015 the Robo-Lions along with their PIE3 partner teams held a Girls in Engineering Girl Scout Work shop. The demand exceed the capacity, with 40 girls enrolled in the first week for what was expected to be 15-20 girls total! The work-shop was held at the Girl Scouts of Central Maryland STEM Center in Baltimore on August 21st. The girls had a a great day of fun programming and driving EV3s robots, learning about circuits, and creating LED flowers. 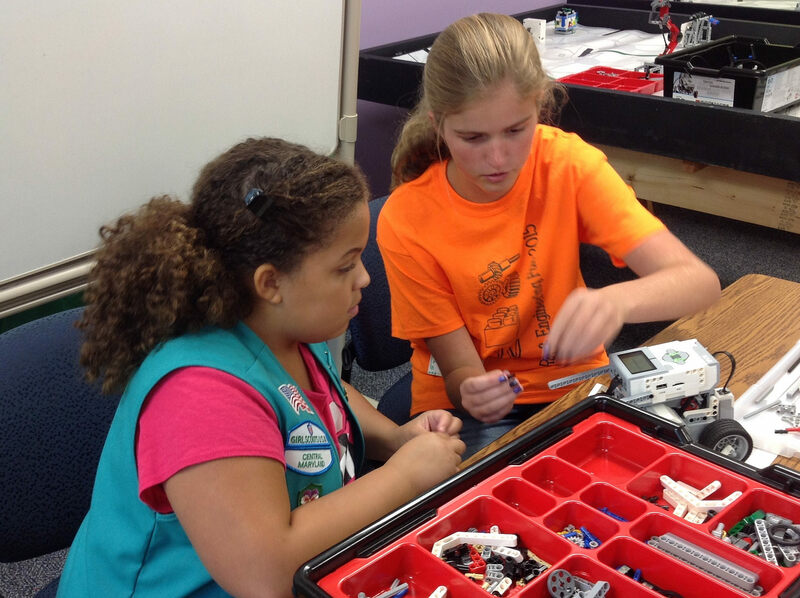 Girls Scouts and Robots – A Terrific Combination! 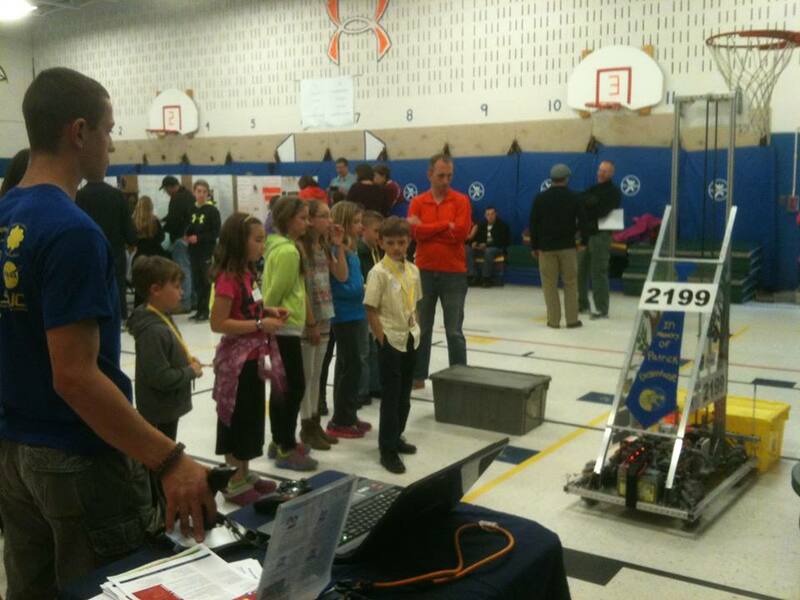 The Robo-Lions annually participate in the Carroll County Public Schools “Spotlight on Youth” event. 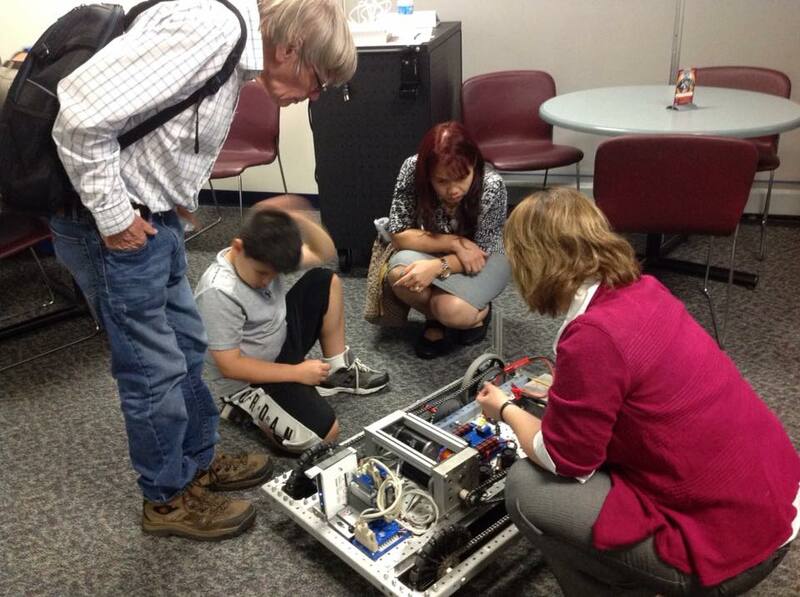 Mentors judge the many Middle School Science and Engineering projects while team members demonstrate the robot. The Robo-Lions have been active participants in Freedom Fright Night which raises money for the Freedom Recreation Council to support its many wonderful recreation programs including the Robo-Lions. 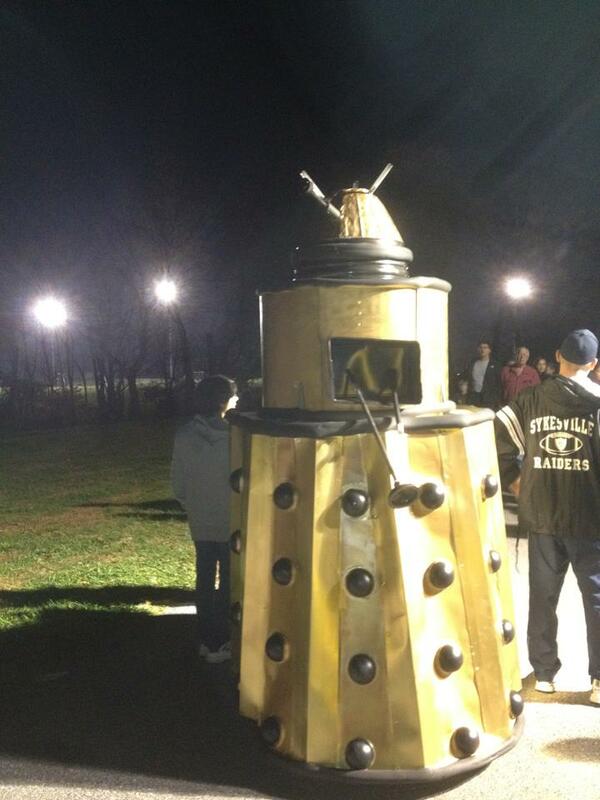 The Robo-Lions have built a Dalek and a Police Call Box from the TV show Dr. Who for Freedom Fright Night. The Robo-Lions have supported many community events in Carroll County, Maryland and look forward to being involved in many more!